When I think of Christmas, I think of gingerbread. 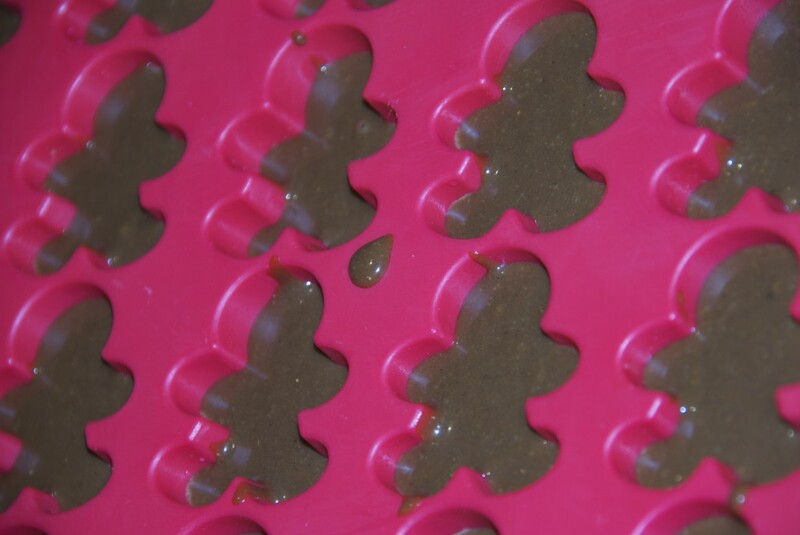 We’ve already made gingerbread tree decorations here, which were a big hit with the kids, so when I saw a mini gingerbread man mould I couldn’t resist buying it. We used this recipe from the BBC food website, and it was amazing. The little men came out quite easily, leaving Z and S the fun task of decorating them. We made a little gang. Some of the men broke on the way out so I squished them into balls and put them in the freezer for a couple of hours. 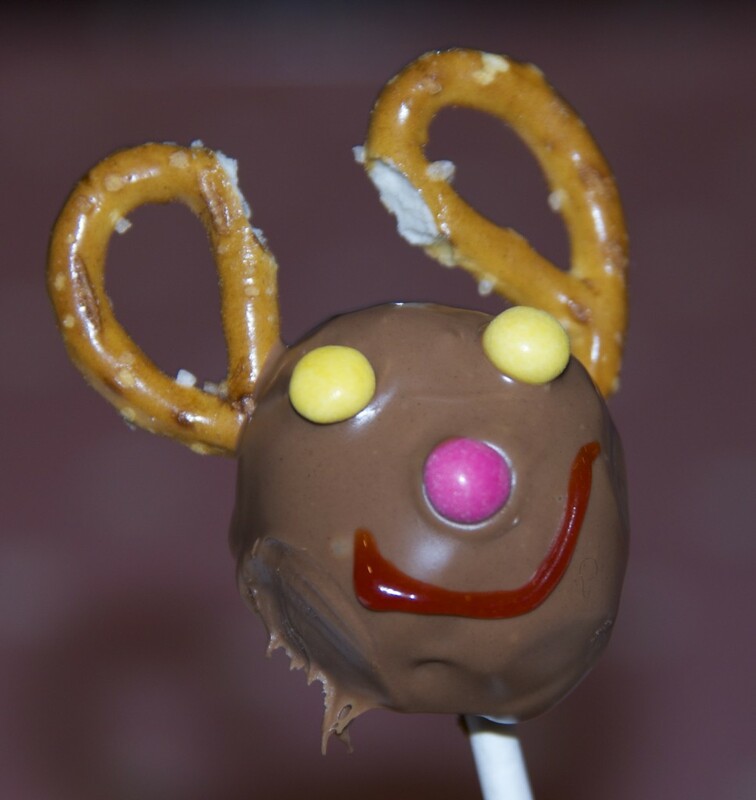 Then I coated the balls in chocolate and added some mini smartie eyes and pretzel antlers. Its a bit of shame about the finger smear, but I’m quite impressed and cannot wait for the Z and S to see the cake pop in the morning. 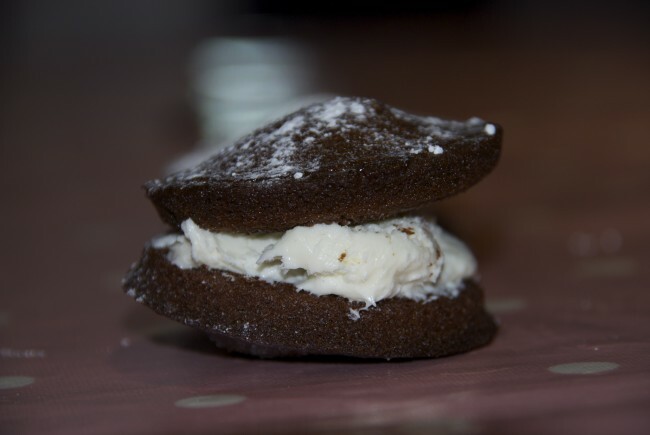 We also made a whoopie pie. 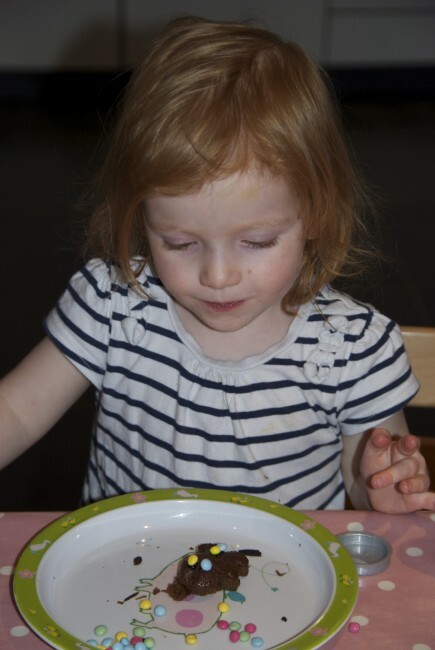 A day of gingerbread fun! oooh so nice! love the pretzel ears! Oooh don’t they all look delicious!! We are yet to make whoopy pies. Mmmmh. The whoopie pies were especially good! you must read the same magazines as me – I want to make reindeer cakepops with pretzel antlers – I’ve had the pretzels in the cupboard for weeks now! 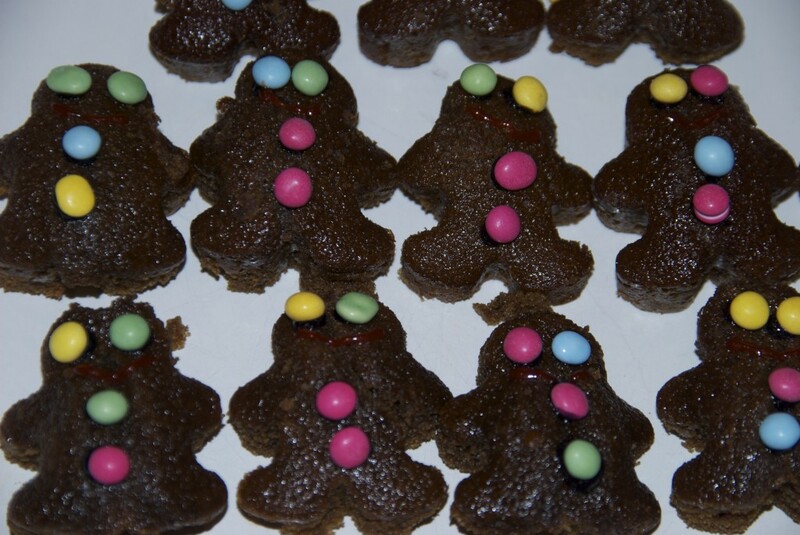 The gingerbread men look great, I LOVE the mould, I want one, I really do! The reindeer cake pops are soooooooo cute!! I am pinning them =-) I would love for you to come link up at my TGIF LInky Party – http://livinglifeintentionally.blogspot.com/search/label/Linkey%20Parties – I know my readers would love to see!! So that’s how you get them to come out looking the same shape they went in! I will be posting our Gingerbread house escapades over the weekend. Wish me luck! yumm! Reminds me of Christmas growing up. My mom always made chocolates out of a mold like that. Such cute ideas. Thanks for sharing at Monday Madness. Love the cake pops with the antlers!